Jonathon Covino & Mike Lowrie of Harcourts Sergeant are proud to present 14 Lord Howe Crescent, Mawson Lakes. 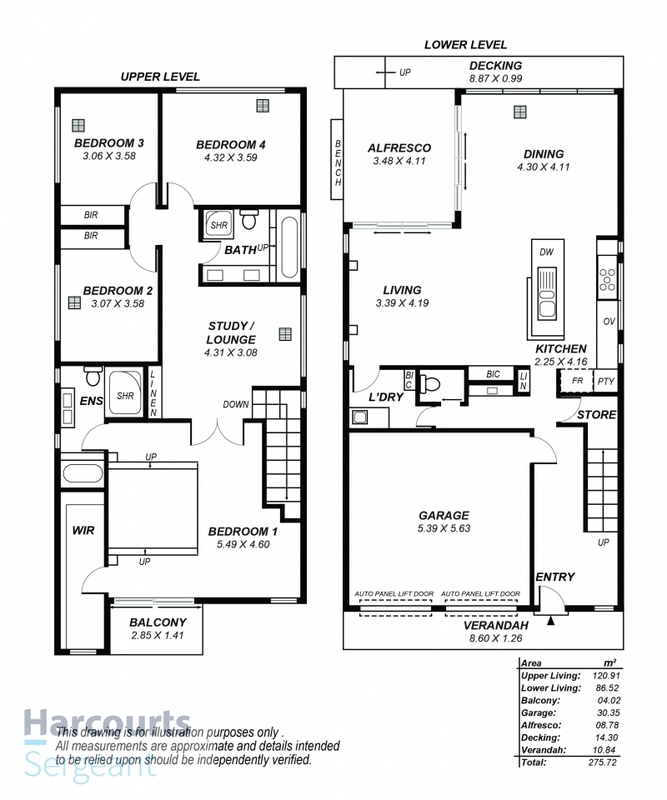 On offer is an architectural masterpiece located in the Sanctuary precinct of Mawson Lakes. Built to impress, the home has been architecturally designed to suit the modern family, with its grandeur being evident even before stepping foot inside. Geometrical designed elements are reflected throughout the property, from the front gate, to the façade and the beautiful master bedroom that you will be sure to fall in love with. The formal entry begins your journey through this breathtaking property, the porcelain and marble finished tiles lead to the open plan kitchen, living and dining area. Marble benchtops and breakfast bar contrast the kitchen cupboards, with granite sink, and quality Miele dishwasher and appliances complementing its modern design. The living area is complete with in-built storage cupboard to match the kitchen, and inset TV niche, with the dining area boasting a large window which frames the water feature and outdoor area like a living picture. Both the living and dining open out to the alfresco area. The downstairs floor also offers a separate toilet and vanity alongside the laundry. The Tasmanian Oak staircase separates the home to a class above, with the upper floor featuring polished parquetry flooring throughout the 4 bedrooms and second living area. You will absolutely fall in love with the master bedroom, with your bedroom suite taking pride of place on the step-up platform. The grand raked-ceilings allow natural light to fill the room through the large windows and glass sliding door, with the private balcony being a place to unwind and enjoy the sunset and surrounding views. The large walk-in-robe has plenty of space to accommodate a his and hers section, with the ensuite complete with double vanity, double shower and spa bath. Serviced by ducted reverse cycle heating and cooling for year round comfort and including down lights throughout, as well as room to house 2 cars in the garage, and 2 behind the gates, what more could you ask for! Don’t miss out on this excellent opportunity to secure an architectural masterpiece in Mawson Lakes, just simply move in and enjoy! • All Wet Areas Feature Floor to Ceiling Porcelain Tiling & Marble Benchtops. • Council Rates: $2,011.40 p/annum approx. • Land Size: 230 sqm approx. • Build Size: 275 sqm approx. Contact Jonathon Covino or Mike Lowrie today to view the property or view during scheduled open times.